The Zanzibar Sugar Factory Limited (ZSFL) is expected to resume operations early next year, after being closed down for four years, according to local press reports. 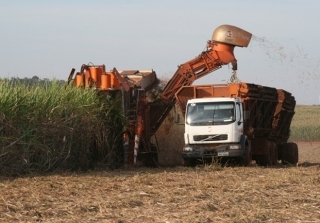 ZSFL, located in Zanzbiar, Tanzani, stopped production of sugar in 2011 when factory equipment went into disrepair – receiving no injection of funds modernise it. Two years later, in 2013, Misra Costech Sugar Company of India brought in their own management team of 38 engineers to Zanzibar to rehabilitate the sugar factory. An investment of US$15 million was made in the operation. The plant will now have the capacity to produce 40 tonnes of sugar a day – previously it only produced 15 tonnes sugar/day. The refurbishing would create 200 direct employment opportunities and 400 others indirectly to sugarcane out growers. A total of 1,600 acres of sugar cane owned by the ZSFL have been earmarked for sugarcane farming.